Speech disorders and defects of diction occur in the vast majority of children. Time corrected bite, and sometimes cutting the frenulum, speech therapy can work wonders. However, not everyone is able at a young age to get rid of speech problems. Not surprisingly, many adults are unhappy with their accent, turn to the services of specialists. Professional immediately say how soon can a person hope to improve speech development, as some drawbacks are eliminated harder. However, to develop it at any age, if patience and perseverance. If you are doing speech therapy, he likely will determine for you the optimal ways of speech development. However, there are several versatile options that are suitable for everyone who wants to improve their pronunciation. For example, the correct speech breath. In order to develop it, you need every day to perform a few simple exercises. Recite on the exhale respawn sounds and,,, and s, try them in different combinations, for example, AU, OI, and so on. Alternate pronunciation of sounds with short breaths. Also, on the exhale, count aloud to ten, trying to keep the sounds are not interrupted. Learn tongue twisters. Recite them every day before the mirror, making sure that your articulation was clear. Start slowly, in a whisper, punctuating each snarling, hissing sound. Each time read the tongue twisters faster and louder, but I do not "zazhevyvaya" and not "swallowing" sounds. Tongue twisters can be any, including those familiar to you since childhood, "was Sasha on highway", "Three ships maneuvered, maneuvered". But still, choosing them, often try to say those in which there is problematic for you sounds. 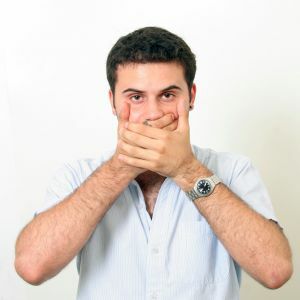 One of the signs of advanced speech – the right intonation. That is, the placement of the emphasis in the words, pause, change the volume of voice during the story. Intonational expressiveness of the speech of an adult can learn on their own. To do this, write on a piece of simple sentences or nursery rhymes, for example: "hands, face, sighs on the move...". Read them aloud, with different intonation each time changing the stress in the sentence to change the meaning. Make logical pauses. Train yourself not to blurt out the entire text in one fell swoop. If you develop it yourself does not work, enroll in courses in speech, as a rule, they are open to any acting school or College.